A few days ago a friend of mine linked from her Tumblr account to this Huffington Post article. 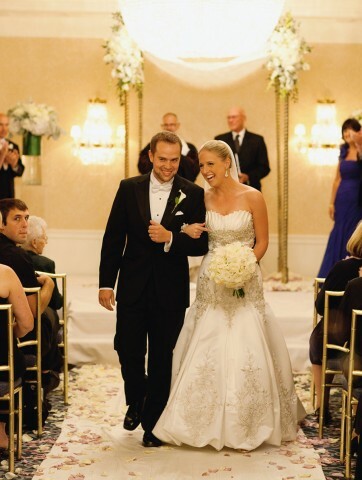 The article “15 Ways to Stay Married for 15 Years” by Lydia Netzer has a lot of great advice on thing she and her husband have learned throughout the years together. All her tips are a home run – in my opinion – the only one I really can’t decide if I totally agree with or not is “Go to Bed Angry”. Although I see her point I would almost want to modify to say “sometimes go to bed angry”. What do you think of Lydia Netzer’s tips? Is she missing any important tidbits? Do you like the husband pact? 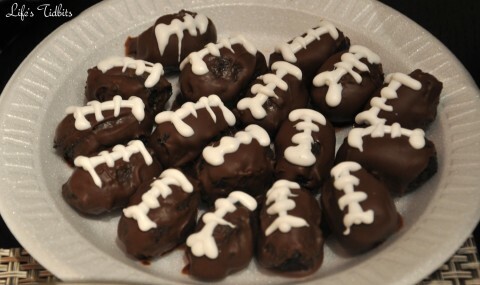 When the husband and I hosted a Super Bowl party this year a friend made these cute little oreo truffle footballs. These little guys were extremely addictive. So yummy!!!!! Our friend was kind enough to share the recipe with me after a few reminder *wink wink*. 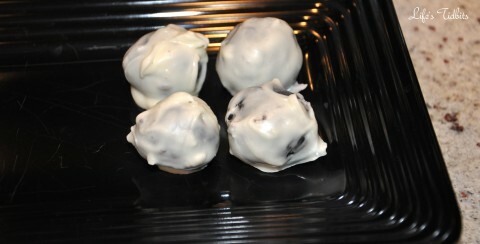 Although I’ve been meaning to make the truffles for a while there hasn’t been a good occasion to give the recipe a try. We had some friends over this weekend to check out the new place so I made the oreo truffles as a littler treat for our friend. They were a big hit! 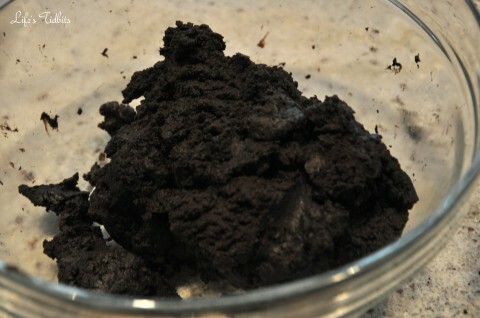 Crush cookies in a food processor or place them in a ziploc bag and crush into a fine consistency. 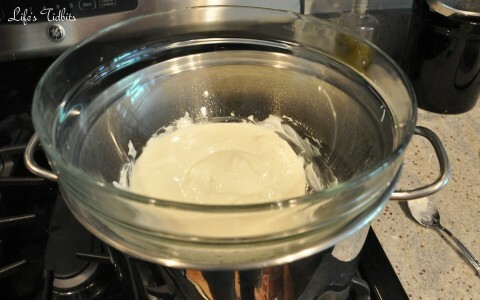 Stir in softened cream cheese. 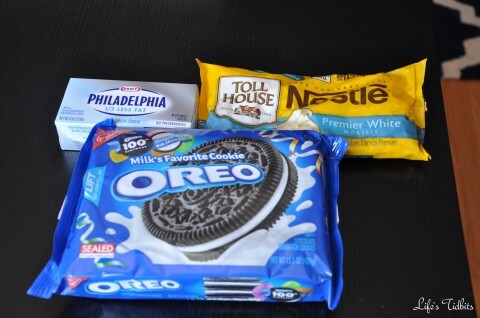 I had to use my fingers to get it all mixed together well. The suggestion to use the back of a large spoon to help mash the two together just wasn’t working for me. Or maybe it was taking too long, but either way my hands were very effective. 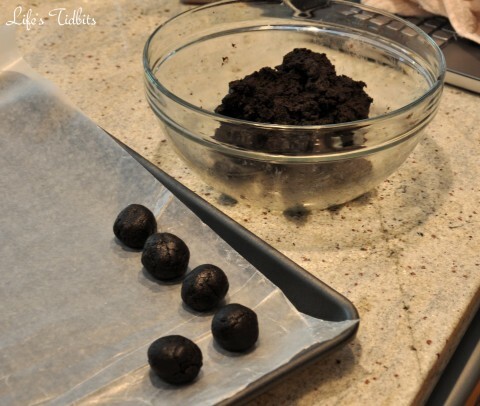 Roll the mixture into 1″ balls and place on wax paper covered cookie sheet. I would actually suggest doing 1/2 inch balls. These little guys are super rich and the 1″ balls is about 2 bites. I think having one bite truffles would have been a little better. Once dry, refrigerate. 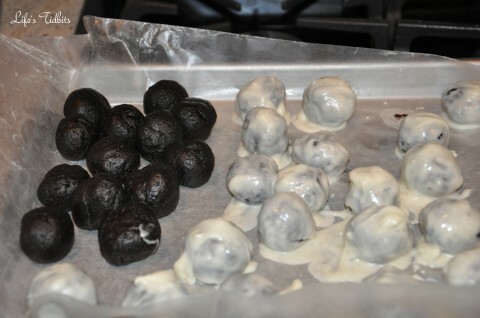 This makes about 36 truffles (or 72 if you do the smaller truffles as I suggested). I mean seriously these are SO easy to make and they taste SOOOO good.